VATICAN CITY (CNS) — Pope Francis wanted to go to Morocco in December to draw attention to the need for international cooperation in assisting migrants and in alleviating the situations that force people to seek a better life outside their homeland. Protocol dictated that he could not fly to Marrakech just for the United Nations meeting on migration, so instead migrants will be one group that receives his special attention during a more formal visit to Morocco March 30-31. His meeting March 30 with migrants at the Rabat archdiocesan Caritas center also will highlight the very practical form Catholic-Muslim relations take in the country of more than 35 million people, almost all of whom are Muslim. “This is the dialogue of solidarity,” said Father Daniel Nourissat, spokesman for the Archdiocese of Rabat. Christians and Muslims work together to assist the migrants both at Caritas’ Migrant Reception Center, which the pope will visit, as well as in the neighborhoods and informal settlements where many migrants live. Perhaps 80,000 migrants are currently in Morocco, Father Nourissat said. The numbers have been increasing steadily since 2017 when Italy and Libya began cooperating to prevent migrants from setting off from Libya to cross the Mediterranean and reach Europe. By mid-2018, the number of migrants landing in Spain, usually from Morocco, had surpassed the number arriving in Italy. 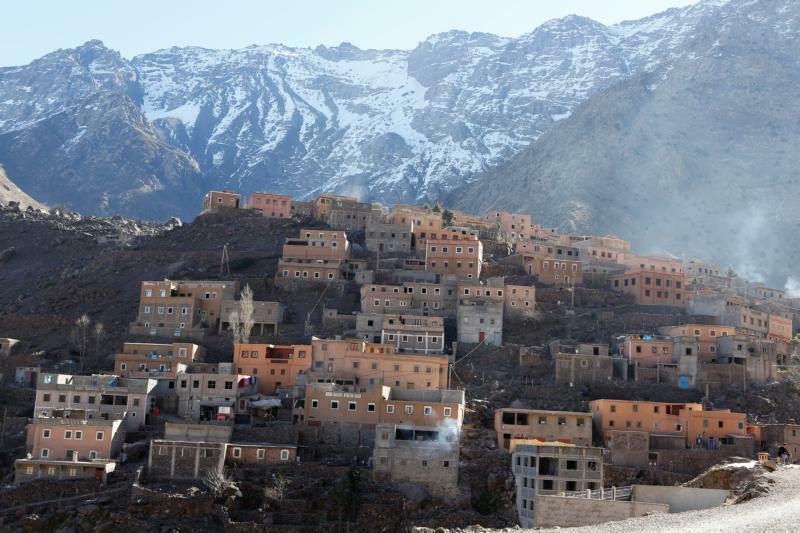 Morocco has been criticized by human rights groups for forcibly busing migrants who want to reach Europe out of informal settlements in the north, but the country has accepted tens of thousands of migrants and refugees, given them residency permits and allowed them to work. The influx of migrants has mobilized the Catholic community, including the Franciscan Missionaries of Mary, an order with 45 sisters from 18 nations working in Morocco. Sister Mary Elizabeth Donlon, the provincial, told Catholic News Service that in a country where illiteracy rates are high among people over 50, especially among women over 50, the sisters also run a center for women’s literacy; they have nurses and social workers serving in public hospitals and clinics; they teach in the nation’s Catholic schools — where all of the directors, most of the staff and most of the students are Muslims. Sister Donlon said she’s been struck by how Muslims focus on reconciling with each other during Ramadan, the month of fasting, and by how naturally and seriously the Moroccan Muslims take their obligation to pray five times a day. “The faithfulness to prayer does attract me. It’s so natural, like a skin,” she said. The Moroccan constitution recognizes the right to religious freedom and freedom of worship, but proselytism is illegal. Most of the sisters wear a “discreet” version of their congregational symbol, which is a cross on a round medal, she said. The Catholic community in Morocco numbers about 20,000 people, almost all of whom are foreigners, said Father Nourissat. A significant portion of those Catholics are students from sub-Saharan Africa studying at Moroccan universities. The influx of Christian students led the country’s Council of Christian Churches to establish Al Mowafaqa, the ecumenical institute of theology, in Rabat. Catholic, Anglican and Protestant students study theology, ecumenism and interreligious dialogue together and make a four- or five-year commitment to serving their fellow Christians in Morocco. Members of the group will join Catholic priests and religious for a meeting with Pope Francis March 31 in the Rabat cathedral. An international group of Muslim students will have their own audience with the pope when he visits the Mohammed VI Institute, a school for imams — Muslim prayer leaders — and “murshid” — men and women trained as Muslim preachers and guides. The Moroccan government opened the school in 2015 to promote religious education and to counter what it believes are fundamentalist interpretations of the faith. Like in most officially Muslim countries, the government employs the country’s imams and murshid and writes the sermons used as the basic text for the imams at Friday prayer across the country.